People around the world get married every day. It is an event that deserves a celebration. Let’s say that one of your best friends is doing just that. Before making a commitment, you should send her off to married life with a party. This party will celebrate her last night of being single. 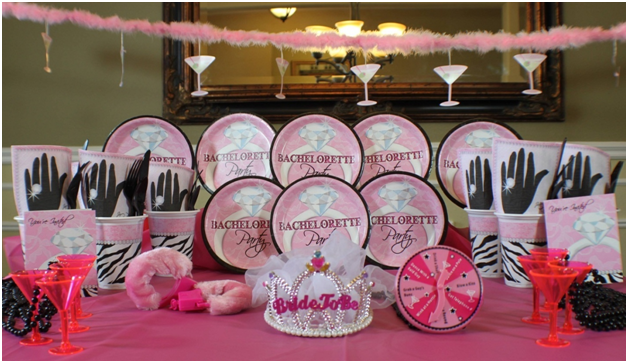 An excellent way to make a memorablebachelorette party is to hire a male stripper. Before doing that, ask the future bride about her preferences and tastes. Some women are not comfortable having a strange, half-naked man dance for them. Your friend might dislike strippers in general. Make sure to get as much feedback from the bride as possible. After all, it’s her party. The Internet is here to make everyone’s lives easier. Luckily for you, there are many sites to check for hiring strippers. Make sure to go through each website thoroughly. Some may offer more information than others. It is preferable if the site has pictures that you can look. This way you’ll be choosing a stripper that catches your eye the most. Check for any kind of online reviews and references. You want to find a professional stripper that will do the job correctly. It is advisable that you hire a dancer from a large and well-established company. Sometimes the stripper can’t make it, and you need to find a replacement. Instead of you doing the hard work, the company will provide the necessary alternative. Furthermore, big companies always do a background check on their dancers. They don’t send anyone that is not qualified or suspicious. Check if the site that you want to hire from is reliable. It needs to have a lot of information and a contact number. Moreover, check if there are reviews concerning the site. If the reviews are all positive, then you will for sure get a professional dancer. You can go to majestymalestrippers.com for more details. Let’s say that you’ve chosen a particular stripper in mind. Before hiring him, you should ask about certain things as well. For example how much the performance costs, how you should pay, are there any particular rules to follow. These things matter so that you won’t get scammed. Usually, strippers ask for a price between 150 and 200 dollars. If you have a lot of friends coming to the party and if he has to dance for an hour, the price is reasonable. Note that quality dancers will ask for more money. If you choose to hire one from a private company, then they will cost more. Some strippers have specific rules. They don’t want to be touched, or it’s the company’s policy not to touch them. Make sure to know all of these things so that the party will go smoothly without a problem. Also, ask the male dancer if he has the necessary equipment to dance, like a chair or a pole. If not, you can arrange that to happen. Often strippers come with their own stuff, but you can never be too sure. This is probably the most important matter you should cover. If you don’t provide the stripper with your address, he may not even show up. Then all the guests will be disappointed, and the party will not go as planned. If you live in a big area, give the dance your address and describe the surrounding. This way it will be easier for him to figure out where you live. Don’t worry if the stripper arrives later than the agreed times. They are known for being late. However, always have the company’s phone number saved in your phone. If the dancer is running really late, you can always call the company to find out what’s happened. If you live in a flat with a doorman, tell him that you’re expecting a stripper soon. By doing this, you’ll avoid any awkward situation for you and the dancer as well. A lot of dancers know how to use a GPS device and Google Maps. Nevertheless, it wouldn’t hurt to give him all the necessary information just to be sure. This way you’ll know for sure that he will arrive. The party will surely start with music and drinks. It will take some time for the guests to relax and start dancing. As the night progresses, people will start feeling more comfortable. Secretly check if the stripper is coming soon. You can text or call him from another room. While the guests are dancing, you can create a fake story by telling them that someone’s called the police. They will think it’s because of the loud music and the singing. Then the stripper will enter and surprise everybody. Strippers often come dressed as policemen. This is why the fake police story is the perfect cover. Strippers do all kinds of choreography to perfect their bodies and their routines. Their job depends on winning the hearts of the ladies. With their gorgeous looks and dance routine, they will undoubtedly deliver a memorable show. Keep the attention on the bride because it’s her special night. Tell the dancer beforehand about who the bride is and what she looks like. This will avoid confusion. Make sure that evening goes according to plan.And lastly, enjoy the rest of the night with your closest friends. Surely the party will turn out fantastic with lots of memorable moments.